"MySQL Manual still have many details missing and is not fixed fast enough. Moreover, it is not open source..."
Any other use, such as any dissemination of printed copies or use of this documentation, in whole or in part, in another publication, requires the prior written consent from an authorized representative of Oracle. Oracle and/or its affiliates reserve any and all rights to this documentation not expressly granted above." It was NOT Oracle who closed the source (as far as I remember, the manual was not GPL even in 2004, when I started to care about MySQL in general). But Oracle had a chance to change the license and set up some better contribution process for MySQL Community users, with many good writers among them. They decided not do this, so creators of forks and derived software have to duplicate efforts and rewrite everything themselves, and the only real way to help make the manual better is to report bugs. Bug #91955 - "8.0 broke plugin API for C". According to the comment from Oracle developer in this bug reported by Laurynas Biveinis, writing plugins in C is not supported any more... But this change is NOT properly documented. Bug #91781 - "Add version matrix in "Chapter 2 Keywords and Reserved Words". Good idea in the manual is not consistently implemented. Bug #91743 - "performance_schema.data_locks not working correctly". Nice feature was added to Performance Schema (now we can check and study InnoDB locks with SQL! ), but it is still not completely and properly documented. Bug #91648 - "Numeric literals must be a number between 0 and 9999". Surely ports with numbers larger than 9999 can be used. Bug #91642 - "Document how protocol version 4.0 and 4.1 differ on how strings are terminated". As noted by Rene' Cannao', comments in the code are still sometimes more useful than documentation. Bug #91549 - "MDL lock queue order seems to depend on table names". Make sure to read last comment in this nice request by Shane Bester. Dmitry Lenev provides some details on priorities of MDL locks in it. There are still cases when bugs and documentation requests document some details better than fine MySQL Manual! Bug #90997 - "Handling an Unexpected Halt of a Replication Slave" manual page is wrong". Sveta Smirnova highlighted a totally misleading statement in the manual. Bug #90935 - "Modify relay_log_recovery Documentation". Simple documentation request stays "Open" for 3 months. Definitely processing documentation requests is not a highest priority for Oracle engineers. You can make your own conclusions from the above. But I do not see any good trends in the way new documentation is created or documentation requests are processed recently. Same problems as 4 years ago (see more on that in a side note below). "...document in the manual what locks this kind of DELETE sets when it encountered a record already marked as deleted, and why"
This still had NOT happened. Moreover, eventually both MySQL and MariaDB engineers decided that current implementation of locking for this case is wrong and can be improved, so this report ended up as InnoDB bug. Check related MDEV-11215 for more details. Bug #73413 - "Manual does not explain MTS implementation in details". This is one of my favorite documentation requests. I've got a suggestion to explain what I want to see documented, in details. I tried my best, but if you want to get more details, read this blog. "Per Marc Alff, the Performance Schema is simply reporting what it gets from runtime. If runtime is reporting nonexistent filenames, that's a server issue. Recategorizing this as a server bug." There are more problems with MySQL documentation (not only reference manual), but at the moment I consider 3 highlighted and illustrated above the most serious. 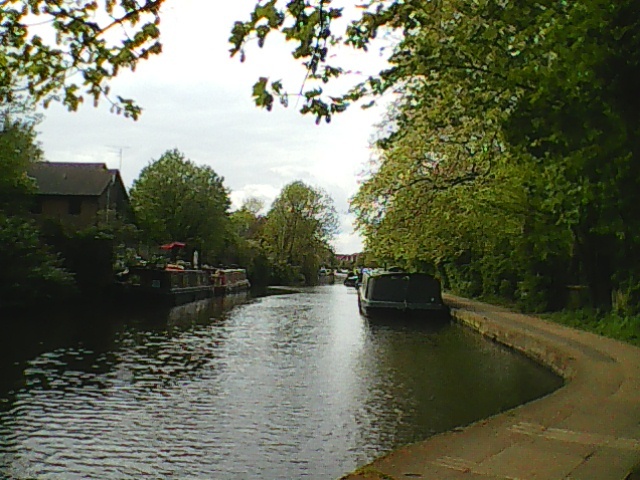 Regent's Canal is nice. If I only knew how to operate the locks there... MySQL Manual also misses some information about locks. "What's wrong with MySQL Manual". In 2014, after spending few weeks reporting up to 5 documentation bugs per day, I thought that, essentially, there is nothing much wrong with it - it's fine, well indexed by Google and has meaningful human-readable URLs. Few problems listed were lack of careful readers (I tried my best to fix that), limited attention to old documentation requests, some pages with not so much useful content and lack of "How to" documents. The later I also tried to fix to some small extent in this blog, see howto tagged posts. The real fix came mostly from Percona's blog, though. I have a special "missing manual" tag for blog posts that mention at least one bug in the manual. I tried to use "missing_manual" tag consistently for my own documentation requests. Last year I shared a detailed enough review of the bugs with that tag that were still active. That said, I also wanted to join MySQL's documentation team in the past, but this was not possible at least because I am not a native speaker. If anything changed in this regard, I am still open to a job offer of this kind. My conditions for an acceptable offer from Oracle are known to all interested parties and they include (but are not limited to) at least 4 times the salary I had before I quit (it was almost 6 years ago) and working for Oracle's office in Paris (because in Oracle office you ere employed by formally matters a lot for your happiness and success as employee). Another example of documentation bug that is verified for a long time: Bug#85977 - he doc. of slave-parallel-type=LOGICAL_CLOCK wrongly reference Group Commit (). This is probably somehow related to your Bug#73413 Valeriy. And another: Bug#75393 - Clarify the way the table mysql.gtid_executed is updated (). But this one is still only opened. Another: Bug#75394 - Improve documentation of binlog_order_commits (). Even though we have many example where documentation bugs are not treated in a satisfactory way, I want to point-out my recent very satisfactory interaction about a documentation bug: Bug#92012 - Wrong default for thread_cache_size in "How MySQL Uses Threads for Client Cnx".(). This documentation bug was verified in less than 18 hours and fixed in less than 30 hours. Great job by Umesh Shastry and Paul Dubois. Another older documentation bug where everything went well is the following: Bug#73038 - Better document (or fix) relay_log_recovery (). Documentation bugs are usually verified really fast, and Umesh just rocks in his role, no doubts. But proper and fast fixing of some bugs does not make cases like https://bugs.mysql.com/bug.php?id=68097 better. While I tend to agree with the points made above and a couple of other recent posts you've made I wonder if the way you are getting your message across well have the desired affect. Oracle is a big, slow moving secret animal that doesn't like being poked. Or so it seems. I wonder ifif how should not be trying to entice them in the direction we want them to go by asking them to describe what they can about their processes and thinking, point out the issues we see and the direction we'd like to see things go and ask how as an individual or the community we can help to achieve these 'better' objectives. Forcing them in the direction we want won't work. However, one to one conversions have lead me to believe that they are aware of these issues, so we just need to see how we can help them internally move to make things happen. This may be a slow process but I'd guess that if pursued by many of us in the community it may take us where we want to go. I know from my own experience (recall 5.6 GA early days in 2013) that regular poking about mishandled bugs used to work and help, immediately. It lasted for a long time and made MySQL 5.6 and newer versions much better. This approach may not work that well any more (maybe because I was forced to stop applying it in 2013 and they got relaxed after that), but it worked. There are plenty of people in MySQL Community who tried and are still trying other approaches, and I wish them good luck. But I'll continue to highlight problems with bugs processing in public whenever I notice them.